The ‘Cortege’ camouflaged sedan will be sold internationally next year and will replace the president’s Mercedes-Benz S600 Pullman cars. 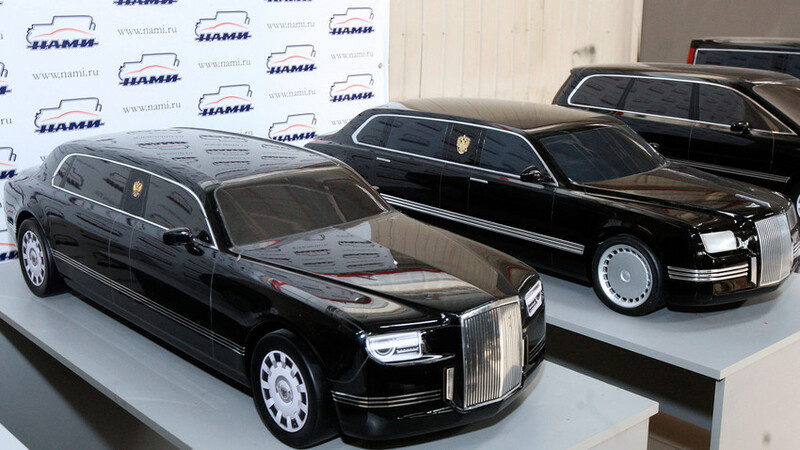 Ever dreamt of riding in President Vladimir Putin's car? Well, from 2019 you can...but probably only if you’re a Sheikh. The soon-to-be official state wheels of Russia's president, nicknamed the "Cortege," is a camouflaged sedan based on the Mercedes-Benz S-Class and BMW 7 Series with V12 engines. This year the model is expected to replace the 11 Mercedes-Benz S600 Pullman vehicles the big man is carted around in at the moment. Though according to Minister of Industry and Trade Denis Manturov, when the car is released next year it will face stiff competition from models made by Rolls-Royce and Bentley on the international market. "South-East Asia and the Middle East, first of all the United Arab Emirates, and especially China were chosen as target foreign markets," Russian automotive company Sollers who will distribute the cars told Forbes. The car will be available to buy in 2019, so start saving! Find out what other transport Putin has at his disposal here. What did the last Russian tsar have in his garage?